The government also earmarked 5 billion yuan to subsidize rural buyers of mini buses and trucks during the period between March 1 and December 31. China's only privately owned carmaker Zhejiang Geely Holding Group sealed a landmark deal on March 28 to buy ailing Swedish luxury car brand Volvo from Ford Motor Co for $1.8 billion. The move is China's biggest overseas auto acquisition and also the boldest by a homegrown carmaker. The cost is much lower than $6.5 billion Ford paid for Volvo in 1999. Geely Chairman Li Shufu told a press conference in Beijing that the company will inject $900 million in operating capital into Volvo. The deal is subject to government approval. "After the takeover, Geely and Volvo are brothers instead of a father and a son. Geely will not produce Volvo cars. Volvo will not make Geely cars," Li said, adding that Volvo would keep its unique characteristics. His remarks were apparently made to dispel concerns that Volvo will lose its prestige as a premium car brand after acquisition by low-cost car maker Geely. The legendary boss attributed Volvo's hardship largely to its small production scale and high research and development expenses, saying Volvo should try to raise production and sales to cut per-unit costs. After the merger, Geely will reportedly build a 300,000-unit assembly plant in Beijing for Volvo. Last year, Volvo sold 330,000 vehicles globally, its lowest figure over the past decade. Geely's 2009 sales surged by 48 percent year-on-year to 330,000 cars. It has an ambitious plan to lift annual sales to 2 million units by 2015. China's fragmented auto industry witnessed a new wave of mergers and acquisitions (M&As) with Chang'an Motor Corp, one of the country's top-tier auto groups, taking the lead. In November last year, Chang'an agreed to buy the major auto businesses of one of the nation's leading aircraft manufacturers, Aviation Industry Corp of China (AVIC). The deal was the biggest auto M&A in recent years. AVIC's two mini bus makers - Hafei and Changhe - and the engine unit Dong'an were merged into Chang'an. The assets of Changhe's joint venture with Suzuki and Dong'an's engine tie-up with Mitsubishi were also integrated into Chang'an. In return, AVIC took a 23 percent stake of Chang'an. In May last year, Guangzhou Automobile Group Corp, the partner of Honda and Toyota, acquired a 29 percent stake in Shanghai-listed SUV producer Changfeng Motor Co Ltd for 1 billion yuan. In February this year, Geely took over Zhejiang Zhongyu Holding Group, an obscure Chinese partner of Daimler AG. No financial details were revealed for the deal. Zhongyu is a special-purpose vehicle producer. The central government is planning new measures to boost M&As and consolidations in the auto industry to improve global competitiveness. The world's major luxury carmakers are racing to ramp up production capacity in China to cash in on the fast-growing luxury vehicle market. In November last year, BMW announced a plan together with its joint venture partner Brilliance China to increase its annual production capacity in China to 300,000 cars in the long term. The two partners now run a joint venture in northeastern city of Shenyang which has an existing plant with a capacity of 41,000 units a year. The figure will grow to 75,000 units this year. A second plant with an initial capacity of 25,000 vehicles is under construction in the city and scheduled to come on line in 2012. The new facility's capacity will be raised to 100,000 units in 2016 or 2017. Last September current premium car segment leader Audi opened a new 100,000-unit plant in Changchun, doubling its total annual production capacity in China to 200,000 cars. German luxury carmaker Mercedes-Benz plans to raise its capacity in Beijing to 80,000-100,000 units a year by 2012 from 25,000 units at present. The luxury car market in China still has great potential to grow, powered by the country's steady economic growth and rising middle class. Sales of luxury cars in China are predicted to double to more than 700,000 units annually over the next five years. Volkswagen Group, the top overseas passenger car maker in China, unveiled an aggressive plan to expand in south China last November during the Guangzhou auto show in a move to grab greater market share in the region where Japanese brands have long dominated. 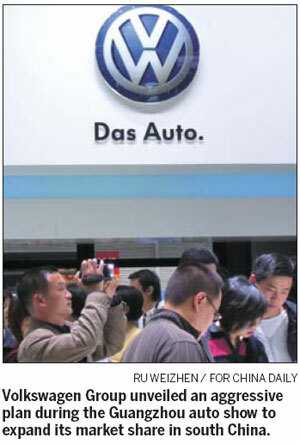 The German carmaker aims at a three-fold increase in south China sales to more than half a million units by 2018. The group, together with its two Chinese joint ventures Shanghai Volkswagen and FAW Volkswagen, will launch more of new products in the region and expand dealer networks in a bid to further improve customer satisfaction. Volkswagen's south China strategy covers Guangdong, Zhejiang, Jiangxi, Fujian and Hainan and Guangxi. The entire region generates roughly a third of China's GDP. In 2009, south China only comprised only 12 percent of Volkswagen's overall sales in the country, much less than the 20 percent in both the nation's north and east. Volkswagen reportedly plans to build two assembly plants with billions of yuan in south China with its two joint ventures to catch its Japanese rivals. 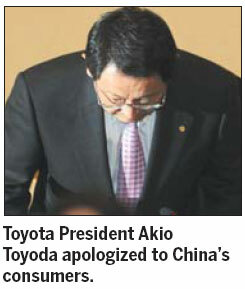 Japan's top three carmakers Toyota, Nissan and Honda have large-scale plants in Guangdong. In the first quarter of this year, Volkswagen held grand ceremonies in Guangzhou to launch its China-made products, the Tiguan SUV and Golf GTI sports car. US carmaker General Motors also has a significant market share in south China. Beijing Automotive Industry Holding Corp (BAIC), the partner of Daimler and Hyundai Motor, last December agreed to buy part of assets of General Motors' Swedish unit Saab for just $200 million in a bid to develop its own-brand cars. 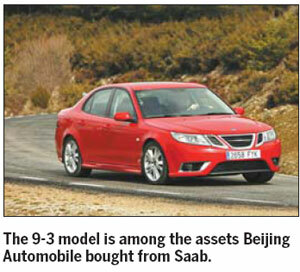 The assets include two Saab models - the 9-5 and 9-3 and powertrain technology and tooling, but not the Saab brand. 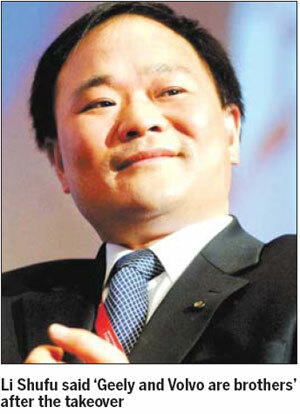 SAIC Chairman Xu Heyi described the deal as "very worthy". BAIC's move may be a new economical way for Chinese automakers to get most-wanted foreign assets, instead of buying an entire foreign carmaker, to develop their own brand cars. In 2004, China's largest auto group SAIC Motor paid $500 million for a 49 percent stake of South Korea SUV maker Ssangyong Motors. However, the Korean company went bankrupt in January last year, making SAIC's investment a total write-off. Xu said BAIC plans to spend 33 billion yuan over the next three years to develop three to four passenger models under its own nameplate as well as three turbocharged engines based on the acquired Saab assets. The company is also building a 150,000-unit plant in Beijing for its own-brand cars. The central government raised both gasoline and diesel prices by 320 yuan per ton, or 4 to 5 percent, last week, pushing domestic fuel prices to new record highs. 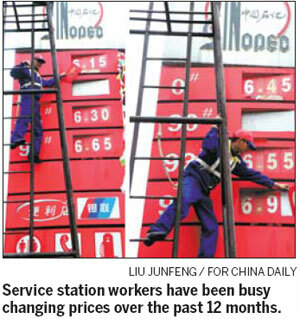 The increase will mean increases of 0.24 yuan per liter of gasoline and 0.27 yuan per liter of diesel at the pump. It was the ninth domestic fuel price adjustment since last year, when regulators adjusted fuel prices eight times, including five hikes and three decreases. China adopted a new fuel pricing mechanism in January last year, under which the National Development and Reform Commission, the country's top economic planner, will consider adjusting the benchmark retail prices of oil products when the international crude price changes more than 4 percent over 22 concurrent working days. China's privately owned battery and carmaker BYD, backed by Warren Buffet, signed an agreement with Daimler AG at the beginning of March to form a "comprehensive technology partnership" for the development of electric vehicles for the Chinese market. According to the deal, the two companies intend to develop a new electric vehicle specific to the requirements of the Chinese market. 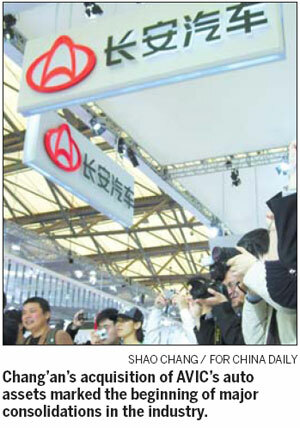 The vehicle will be marketed under a new marque jointly created and owned by the Hong Kong-listed BYD and Daimler. A common technology center will be established in China to develop, design and test the electric vehicle. The apparent aim of the two parties is building synergy between Daimler's know-how in electric vehicle architecture and BYD's excellence in battery technology and e-drive systems. The deal followed another BYD agreement, with Volkswagen, in May last year to join forces in petrol-electric hybrid cars and lithium battery-powered electric cars. The Chinese government backs the development of electric mobility with favorable policies and subsidies to promote widespread use of the vehicles across the nation. In addition, the government-owned giant State Grid and major oil suppliers are establishing a charging station network for electric vehicles. 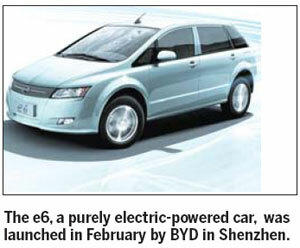 BYD officially launched its purely electric-powered car, the e6, in February in Shenzhen, its headquarters. The first 100 units of the e6 run as taxis. The model will be exported to the United States later this year. US carmaker General Motors (GM) reduced its 50 percent stake in its passenger car joint venture with SAIC Motor Co Ltd in December as SAIC, China's top auto group listed in Shanghai, raised its share in Shanghai GM to 51 percent. It an unprecedented move, as all other Sino-foreign passenger car joint ventures have a 50-50 equity structure. Past realignments have seen foreign carmakers raise their stake to 50 percent, the maximum allowed by the Chinese government. GM said that the move would help SAIC consolidate Shanghai GM's revenue into the Shanghai-listed parent to provide investors with "a clear understanding of its business". Shanghai GM is one of the biggest passenger car producers in China. Last year, it moved 727,000 cars. GM is now seeking to increase its stake in a mini bus joint venture with SAIC and Wuling Motors, which is owned by the government of south China's Guangxi Zhuang autonomous region. GM plans to increase its stake in the venture to 44.9 percent from the current 34 percent. SAIC's share will remain unchanged at 50.1 percent, while Wuling Motor's stake will decline from 15.9 percent to 5 percent. The joint venture is the top mini bus maker in China with record sales of more than 1 million units last year.